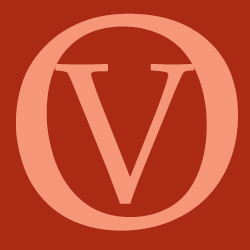 At Opera on Video we distinguish between live performances, opera movies and concert performances. There are hybrids such as semi-staged performances and live performances in a studio. Opera movies are operas filmed in studio and on location to a previously recorded soundtrack. Directors are often quite liberal with music und libretto and cut or add to it. Some movies replace the singers with professsional movie actors. That is why Sophia Loren and Gina Lollobrigida feature in opera movies. Movies can add new dimensions to the opera interpretation which are just not possible in the theater. That can be a positive addition if well done. Some purist may argue that one should stick to the composers original intention – but who does that nowadays in the theater anyway. Thus there are great opera movies and fairly poor ones. I will try to give you an overview and point out some personal favourites. In the beginning filming was the only technical means available. Filming in the theater was technically virtually impossible. TV started first in the 1950s. Live recordings began to appear from the 1960s onward. One of the earliest opera movies is Dreigroschenoper from 1931 – well if you consider it an opera rather than a play with songs. In the 1930s there were many movies predominately in Germany which featured opera singers such as Gigli and Joseph Schmidt. And there were many filmed operettas. All not really opera movies. In 1939 Luise (Charpentier) was filmed with Moore and Thill in France. The first real opera movies appeared in Italy in the 1940s . Tito Gobbi featured in L’elisir d’amore, Il Barbiere di Siviglia, La Forza del Destino, Rigoletto and Pagliacci with Lollobrigida. That trend continued with more Italian opera movies in the 1950s and 1960. There are recordings of Corelli in Carmen, Pagliacci, Tosca and Turandot. Anna Moffo recorded several operas too. 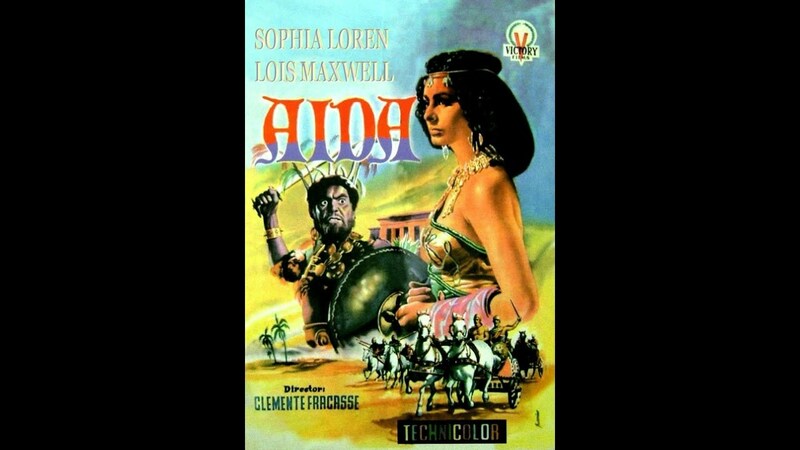 Sophia Loren recorded Aida with Tebaldi singing in 1953 and La Favorite the same year. Mario del Monaco appeared in many movies such as Otello. Some of these movies are really staged performances filmed in a studio. Opernfilme as it is called in Germany started in the 1950s and reached their height in the 1970s. There are many of them such as Zar und Zimmermann (1956 and 1969), Hoffmann by Felsenstein and several recordings from Hamburg. Karajan filmed Otello, Carmen, Butterfly and Rheingold. Böhm conducted in Cosi, Elektra, Salome, Fidelio, Le nozze di Figaro. Solti conducted Hansel and Gretel, Arabella, Falstaff and Bluebeard’s Castle. There were also many operetta movies which I will not cover here. Russia has a rich history of opera movies: Boris Godunov, Iolanta, Khovanshchina, Mozart and Salieri, Otello, Pagliacci, Pique Dame, Prince Igor (1951 & 1969), The Miserly Knight, The Tsar’s Bride, Aleko, Bluebeard’s Castle, Rigoletto, The Demon, The Gambler, Cheryomushki and more. The really great opera movies were all by famous film directors and came in the 1970s and 80s. One of the most famous is Die Zauberflöte by Ingmar Bergman (1975). Jean-Pierre Ponnelle filmed Barbiere (1972), Carmina Burana (1975), La Clemenza di Tito (1980), La Cenerentola (1981) Rigoletto (1982), Cosi fan Tutte (1988), Le nozze di Figaro (1976), Madama Butterfly (1974), Mitridate re di Ponto (1986). And then there is the famous Harnoncourt/Ponnelle Monteverdi cycle (1978/79) which is filmed in the opera house and studio applying many movie techniques. All Ponnelle’s movies are very good. Petr Weigl shot mainly movies with professional actors using a previous opera audio recording: Eugene Onegin (1988), Lets make an opera, Lady Macbeth of Mtensk, Maria Stuarda, Rusalka (1977), Werther, A Village Romeo and Juliet, The Turn of the Screw. Another famous director is Peter Sellars the enfant terrible of opera movies. He filmed the Daponte Mozart operas 1990 which caused quite some stir. Figaro is set in Trump tower, Cosi in Despina’s seaside diner in Florida and Don Giovanni depicts Leporello and Giovanni as two coloured twins. There is also a Giulio Cesare by him. Then there appeared some very good movies in the 1990s and in the new century for example Porgy and Bess with Rattle, La Boheme with Netrebko and Villazon. A special case are opera movies which have been filmed on original places: There are two Toscas from Rome with Domingo, La Traviata from Paris and Rigoletto from Mantua again with Domingo (as baritone). But in recent years opera movies have become much scarcer. What could the reason be?? Is the market saturated because there are already so many movies available? Or has the public preference been shifted towards live HD transmission (Met, Vienna, London etc.)? I feel it would be great if we could get the occasional opera movie from a great film director. Woody Allen made an attempt to direct in the theater – but alas no movie. There are so many excellent movie directors – please have a go at opera. Which are my personal choices for best opera movie? I love Ingmar Bergman’s Zauberflöte. Some people may be turned off by Swedish – not me I am fluent in that language. Ponnelle’s movies are all very good. Except for the Butterfly which I do not like. Ponnelle’s Monteverdi Cycle is superb. Zefirelli’s controversial Otello (cuts), Cavalleria/Pagliaccio and Traviata are all very impressive. Don Giovanni by Losey with excellent singers is great too. Salome by Götz Friedrich with Teresa Stratas and Carmen by Rosi with Domingo and Migenes are opera movies I can enjoy watching over and over again. I did not provide you with direct links for all movies because there are so many. Please use the search to find them. Take your time and enjoy a good movie.